Oil prices recovered on Tuesday morning, with WTI breaking the $75 mark and Brent climbing above $85 per barrel. 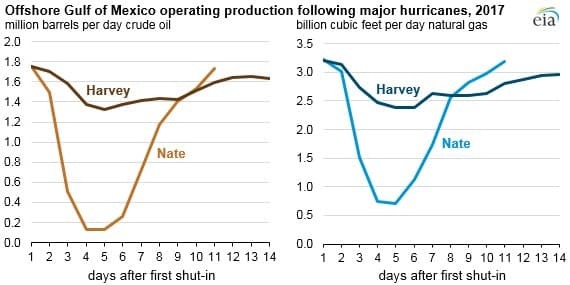 - The EIA’s chart above highlights the fact that the precise path from a hurricane in the Gulf of Mexico can have a bigger impact on oil industry operations than the strength of the hurricane. - Hurricane Nate, a Category 1 storm, passed through the Mississippi Canyon lease area in the Gulf of Mexico last year, causing significant disruptions. - Meanwhile, Hurricane Harvey, a devastating Category 4 storm that disrupted a lot of refining operations onshore, had only a minor impact on Gulf of Mexico production, because it passed by areas of concentrated drilling. • Cabot Oil & Gas (NYSE: COG) saw its share price move higher after the startup of the Atlantic Sunrise pipeline, which adds new midstream capacity for Marcellus Shale drillers. Cabot has secured about half of the capacity on the pipeline. • Total SA (NYSE: TOT) and Saudi Aramco ink deal to work on $5 billion petrochemical complex in Saudi Arabia. • Eni (NYSE: E) has agreed to buy half of BP’s (NYSE: BP) 85 percent stake in a Libyan oil and gas license. Eni hopes to resume exploration next year. The slump in oil prices, which began last week, came to an end on Tuesday on renewed fears of supply outages in Iran, combined with disruptions in the Gulf of Mexico related to Hurricane Michael. “The oil market mood is exceptionally bullish, with fears growing that the U.S. demands for an Iran oil embargo could cause a significant supply shortfall,” said Julius Baer commodities research analyst Carsten Menke, according to Reuters. Hurricane forces Gulf of Mexico disruptions. BP (NYSE: BP) and ExxonMobil (NYSE: XOM) evacuated personnel from the Gulf of Mexico as Hurricane Michael intensified at the start of the week. BP shut in four platforms and Exxon removed staff from its Lena platform, but said production won’t be affected. Equinor (NYSE: EQNR) and BHP Billiton (NYSE: BHP) also removed staff from some platforms. As of now, it appears that around 20 percent of the region’s production has been temporarily idled. IEA warns about supply crunch. The IEA pleaded with OPEC and other major oil producers to increase production. “We should all see the risky situation, the oil markets are entering the red zone,” IEA Executive Director Fatih Birol said Tuesday, according to Bloomberg. “We should try to comfort the markets all together because it may be bad news for the consumers, importers today, but I believe it may well be bad news for the producers tomorrow.” Birol went on to add that “if there are no major moves from the key producers, the fourth quarter of this year is very, very challenging.” He noted that the run up in oil prices is occurring at a time when more red flags regarding the global economy are emerging, something that will ultimately spell trouble for the oil industry if it leads to demand destruction. Petrobras stock rises on Brazil election. The strong performance of the far-right candidate Jair Bolsonaro in the first round of Brazil’s presidential election has divided the country, but investors are warming to the idea. Petrobras saw its share price jump by more than 14 percent after the result, since a Bolsonaro win would reduce the odds of new price controls and new restrictions on the state-owned company. Bank of America Merrill Lynch upgraded Petrobras’ shares to a Buy rating, citing lower policy risk from a Bolsonaro win. India buys Iranian oil for November. Oil prices sank on Monday on news that Indian refiners had secured at least 9 million barrels of oil from Iran for November delivery, upending expectations of imports heading to zero. Meanwhile, the U.S. signaled that it was considering offering some waivers to countries that could not zero out their imports, although the administration did not offer details. Caspian energy corridor opens up. The New York Times looked at the recent territorial agreement signed by several countries bordering the Caspian Sea. The accord could pave the way for more oil and gas production, pipelines and connections to the West, opening up even more production. IMF slightly downgrades global growth. The IMF lowered its outlook for the global economy, expecting a growth rate of 3.7 percent this year and next, down from the 3.9 percent the Fund expected back in April. The IMF cited the uneven nature of the economic expansion, the increase in the likelihood of “negative shocks,” and the unsustainable policy support behind much of the growth. Robust economic growth underpins the assumed strong increase in oil demand, so any faltering in the global economy exposes downside risk to oil prices. ExxonMobil to support carbon tax. ExxonMobil (NYSE: XOM) has reportedly decided to spend at least $1 million lobbying the U.S. Congress to pass a carbon tax. The move raised eyebrows in Washington, although Exxon has maintained that it has long supported such a levy. However, the kicker is that the proposal, a $40-per-ton tax that rises gradually over time, would come in exchange with a gutting of EPA authority to regulate greenhouse gases. Permian pipeline conversion could help ease bottleneck. The temporary conversion of the EPIC pipeline from transporting natural gas liquids to crude oil could help ease the region’s bottleneck, according to Goldman Sachs. The pipeline runs from the Permian Basin to Corpus Christi. Also, the startup of the Cactus II pipeline, slated for the second quarter of 2019, will also increase takeaway capacity. 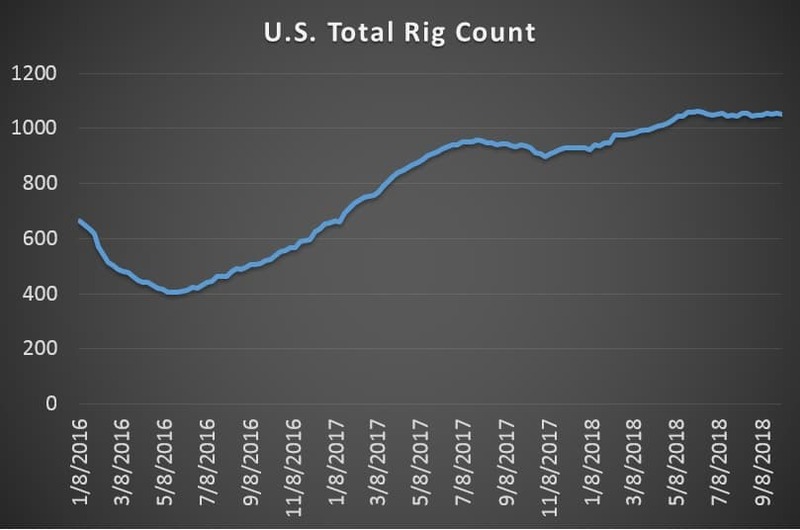 “This along with lower local inventories provides a greater buffer than previously expected leads to less need for as extensive a widening in Permian local prices, in our view,” Goldman concluded. Natural gas prices rise on low inventories. U.S. natural gas prices gained four percent on Monday, rising to an eight-month high at around $3.30/MMBtu. 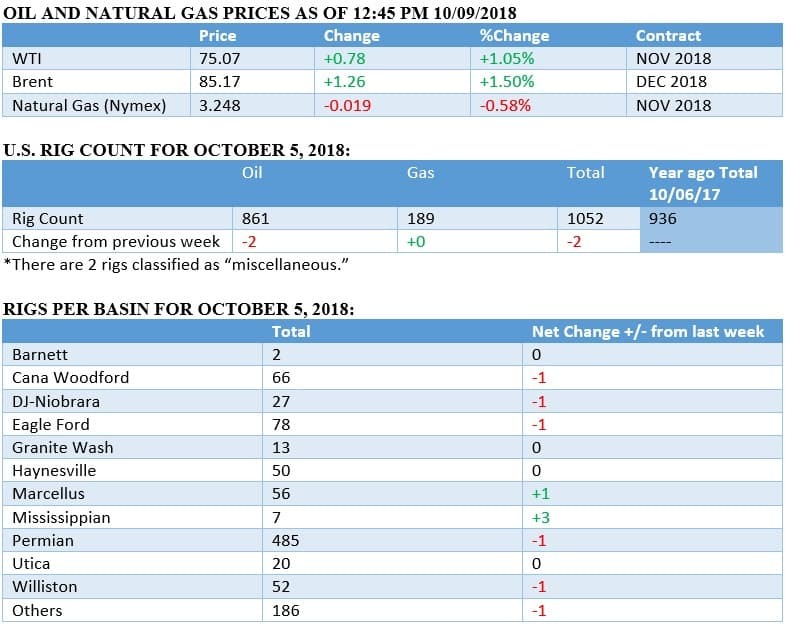 Natural gas prices are also up about 20 percent since September. Low inventories heading into peak winter demand season has raised concerns about market tightness. Explosion at Canadian refinery. A “major incident” took place at a refinery owned by Irving Oil in Canada on Monday. An explosion and fire at the Saint John facility injured a few workers, and the “bed-shaking” blast rocked the area. The cause was not yet known but thought to be related to a diesel-treating unit.